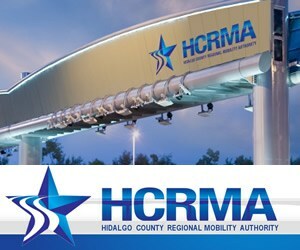 Gerry Pate, featured left, the managing general partner with Hidalgo County Road Builders (HCRB), will address the Hidalgo County Regional Mobility Authority in Edinburg on Thursday, July 9, with an update regarding financing options for construction of the planned $645 million Hidalgo County Loop. HCRB, a private coalition which includes several major firms from the area, on February 28, 2008, negotiated a $46.3 million contract to provide pre-construction services in preparation for the building of major portions of the loop, which is needed to shuttle heavy commercial truck traffic coming to and from the region. Pate’s presentation will be presented before the RMA Board of Directors beginning at 5:30 p.m. inside the International Room at the University of Texas-Pan American. Pate, Mario Jorge, P.E., the district engineer in Pharr for the Texas Department of Transportation, and Tracy Hill, project principal for PBS&J, the engineering firm hired to lead the environmental assessment of the loop, are shown here during the RMA’s Tuesday, June 16 meeting at the McAllen Chamber of Commerce. 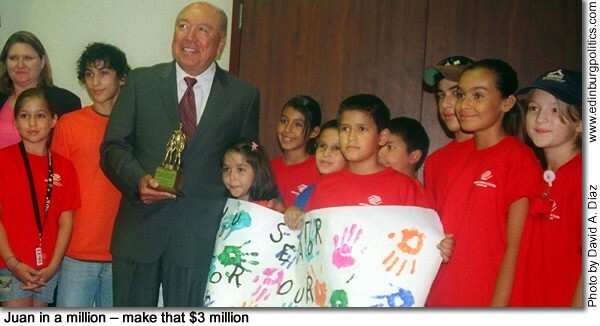 Sen. Juan "Chuy" Hinojosa, D-McAllen, proudly displays a trophy bestowed upon him by the Boys and Girls Club of McAllen for his work during the legislative session in securing $3 million for Texas AIM, the Texas Academic Innovation and Mentoring Program, which allows the Boys and Girls Club statewide to help improve the graduation rates of minority students. 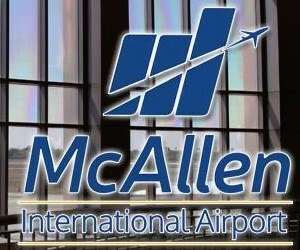 The McAllen chapter, which received $160,000 of that amount, is one of 30 sites statewide which will share in the $3 million state fund. Hinojosa was surrounded by some of the McAllen student members of the McAllen Boys and Girls Club during the ceremony, held at the McAllen Chamber of Commerce on Wednesday, June 17. Breaking ground for a new citrus center in South Texas signals the next chapter in the book of 60 years of research excellence, said Dr. Michael D. McKinney, chancellor of The Texas A&M University System. 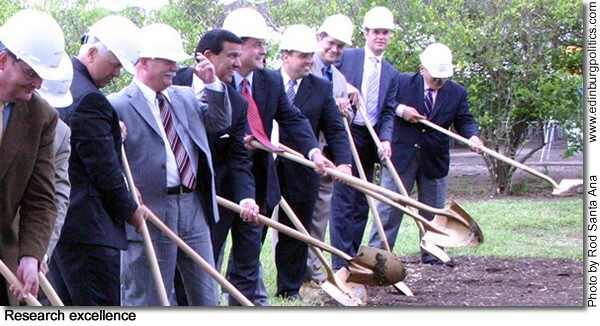 McKinney and others, including Rep. Armando Martinez, D-Weslaco, and Sen. Eddie Lucio, Jr., D-Brownsville, and Texas Agriculture Commissioner Todd Staple, are featured here ceremoniously turned spades of soil on June 23 to kick off the construction of new research facilities for the Texas A&M University-Kingsville Citrus Center at Weslaco. “We break ground today for new facilities at the birthplace of the Star Ruby and Ruby Red, dark red grapefruit varieties that are grown and enjoyed all over the world,” McKinney said. Staples said the center would attract experts and researchers from afar. “This center, with its continued research, will be an anchor for the citrus industry,” he said. “It will attract people from all over the world to learn here, to train here. 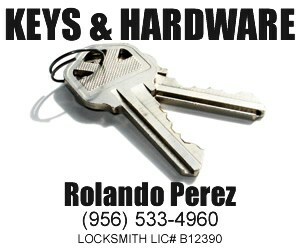 It will continue to place Weslaco as a big, bright spot on the map.” See story later in this posting. 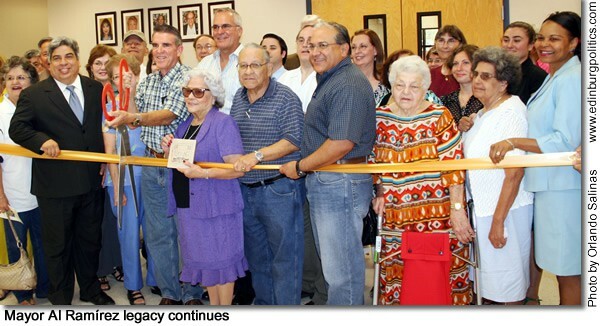 Rep. Aaron Peña, D-Edinburg, featured second from right, along with other Edinburg elected and community leaders, met on Thursday, June 25 during a ceremony to rename the main administration building of the Edinburg Housing Authority in memory of former Mayor Alfonso "Al" René Ramírez, who passed away on April 22. The groundbreaking mayor, who served from 1963 to 1967, was the first Mexican American mayor of Edinburg. He was credited with helping desegregate public swimming pool in the community, among other achievements. Ramírez also served on the Edinburg Housing Authority board of directors. "The community came together to dedicate this building to Mayor Ramírez, who was remembered by family and friends as a transformational and inspirational leader," Peña said. "Whether it was in his military service or civic service as Edinburg’s first Hispanic mayor or the inspiration he transferred to multitudes, Mayor Ramírez will long be remembered." Other family members and leaders who participated in the event included: Carmen González, Edinburg school board trustee; Dan Ramírez, a son of former Mayor Ramírez; Estella Treviño, executive director, Edinburg Housing Authority; Robert Ramírez, a son of former Mayor Ramírez; Ciro Treviño, Edinburg school board trustee and a member of the Edinburg Housing Authority board of directors; Rudy Ramírez, a member of the Edinburg Housing Authority Board of Directors; and Beverly Ashley-Fridie. See story later in this posting. Attorney General Abbott, 32 other AGs, say right to bear arms reflects "Anglo-American tradition"
Texas Attorney General Greg Abbott on Tuesday, July 7 filed a brief with the U.S. Supreme Court that defends Americans’ right to keep and bear arms. The amicus brief, which was filed on behalf of 33 state attorneys general, supports a legal challenge by Otis McDonald, a community activist who lives in a high-crime Chicago neighborhood. McDonald’s work to improve his neighborhood has subjected him to violent threats from drug dealers, but city ordinances prohibit him from obtaining a handgun to protect himself. The state attorneys general argue that cities cannot simply ignore the Second Amendment of the U.S. Constitution and impose a blanket ban on handguns. “Just as local governments cannot constitutionally act as ‘laboratories’ for initiatives to abrogate their citizens’ right to free speech or their freedom from unreasonable searches and seizures, nor can they nullify the fundamental right to keep and bear arms secured by the Second Amendment,” the amicus brief states. The states ask the U.S. Supreme Court to hear both the McDonald case and National Rifle Association of America Inc., et al v. City of Chicago, Ill., et al. The states that joined Texas in the amicus brief are: Alabama, Alaska, Arkansas, Colorado, Florida, Georgia, Idaho, Indiana, Kansas, Kentucky, Louisiana, Maine, Michigan, Minnesota, Mississippi, Missouri, Montana, Nebraska, New Hampshire, New Mexico, North Carolina, North Dakota, Ohio, Oklahoma, Pennsylvania, South Carolina, South Dakota, Utah, Virginia, Washington, West Virginia and Wyoming. 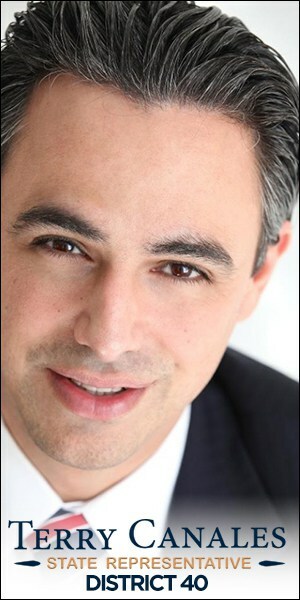 The search for the new president of the University of Texas-Pan American goes behind closed doors in Austin during the Wednesday, July 8 meeting of the UT System Board of Regents, Rep. Ismael "Kino" Flores, D-Palmview, has announced. The agenda item is listed as "UT Pan American: Discussion of individual personnel matters related to presidential search." Flores, the lone Valley member on the powerful House Appropriations Committee, which shapes the two-year state budget, helped secure tens of millions of dollars in state money for UT-Pan American. "The discussion will be held in executive (closed) session, which is allowed by state law, and will include an update from David Prior, the UT System’s vice chancellor for academic affairs,’" Flores said. "Any decisions made by the UT System regents during the closed door meeting on the presidential search, under state law, must be announced in public, when the group returns into an open session." The regents’ meetings, scheduled for Wednesday and Thursday, will cover other matters as well. The sessions will be conducted in the Board Room, 9th Floor, Ashbel Smith Hall, 201 W. 7th Street, which houses the UT System chancellor’s office in downtown Austin. • The board has full discretion concerning selection of finalists for the position of president of any UT System institution. Generally, each finalist named by the board is scheduled for a visit to the campus to meet with students, faculty, staff and representatives of the community. Meanwhile, the UT System leadership, through a recent posting soliciting nominations and applications for the powerful position, wants the new leader to be a "change agent" – a broad term that generally signals a major turn from the status quo, Flores added. According to an advertisement by the UT System which was posted on June 8 in the Chronicle of Higher Education, "The University of Texas – Pan American (UTPA) invites nominations, expressions of interest, and applications for the position of President. The university, the broader community and the University of Texas System are seeking a visionary, collaborative, and energetic leader, a scholar teacher and administrator, and a change agent, who will enable all to seize the moment and move the university to new levels of teaching and research excellence." The advertisement, placed in the Chronicle of Higher Education on June 8, does not provide a salary range. However, according to the salary supplement report filed with the Texas Comptroller of Public Accounts, Charles A. Sober, UTPA’s interim president, is drawing a $280,000 annual salary. Sober, who took over as interim president in January following the retirement of President Blandina "Bambi" Cárdenas, says he is not seeking the permanent spot. The University of Texas – Pan American (UTPA) invites nominations, expressions of interest, and applications for the position of President. The university, the broader community and the University of Texas System are seeking a visionary, collaborative, and energetic leader, a scholar teacher and administrator, and a change agent, who will enable all to seize the moment and move the university to new levels of teaching and research excellence. The university seeks to appoint a President who derives deep personal and professional satisfaction in providing excellent educational opportunities for underserved communities, making a real difference, and changing lives. The university is set to become a vibrant force in the economic and social changes occurring in the Rio Grande Valley region of Texas. The new President must have an appreciation for working with first-generation college students and will be committed to aggressively addressing issues related to student success and student access. Leading candidates must demonstrate an understanding of the importance of establishing the appropriate balance between teaching and research at a university as he/she will lead the task of preserving and nurturing areas of achieved scholarly excellence while fostering the development of new and emerging academic initiatives. Additionally, the successful candidate must have the appropriate academic credentials including an earned doctorate or its equivalent. Established in 1927, and admitted into the University of Texas System in 1989, UTPA serves a total of 17,534 students (including 2,198 graduate students) coming from 32 different states and various countries, with the majority coming from Texas. UTPA is the 10th largest university in the state and the 5th largest in the UT System. Collectively, the six UTPA colleges offer 56 bachelors, 57 masters, 3 doctoral, and 2 cooperative degree programs. The students at UTPA are supported by over 800 faculty, 1,200 staff and an annual budget of $235 million. The university also benefits from research expenditures totaling almost $8.5 million (FY 2008) and an endowment of $62 million. In this age of e-mail mass mailings, sophisticated Internet web sites, YouTube online videos, the Twitter social networking micro-blogging service and other communications wizardry soon to be unveiled, Rep. Armando "Mando" Martínez, D-Weslaco, says there is still no substitute for the town hall meeting, where the people meet directly with their elected leaders. Martínez has already held town hall meetings with his constituents in Donna (June 16), Mercedes (June 17), Weslaco (June 17), and Alamo (June 23), with similar gatherings scheduled for July 10 in San Juan and Progreso for a date which will soon be set. Under the format of the traditional town hall meeting – a long standing symbol of American democracy – Martínez schedules gatherings in the communities in his House District 39, invites everyone to attend, and listens intently to their ideas and concerns. 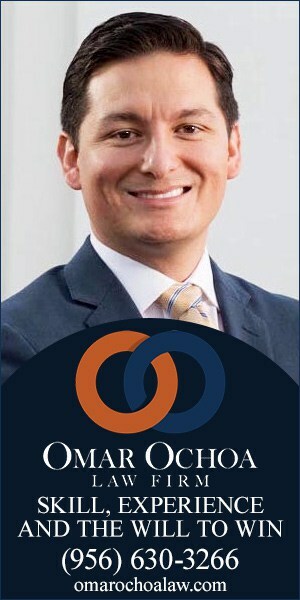 He also gives them updates on what he did for them in the Legislature, and explains how his office can help them with a wide range of needs, from helping a family qualify for the Children’s Health Insurance Program (CHIP) to promoting economic development laws that help communities prosper by helping local businesses succeed and hire more employees. "I use every major tool I can to keep in close contact with my district and to effectively reach out to my constituents, but nothing is better than the personal touch, the face-to-face meeting," Martínez said. "Most of my legislation and all of my votes in the Legislature are based on the will of the people who I represent." But he emphasized that "the town hall meetings do much more than give my constituents the feeling that their voices can be heard. "Their concerns and ideas become action," Martínez said. 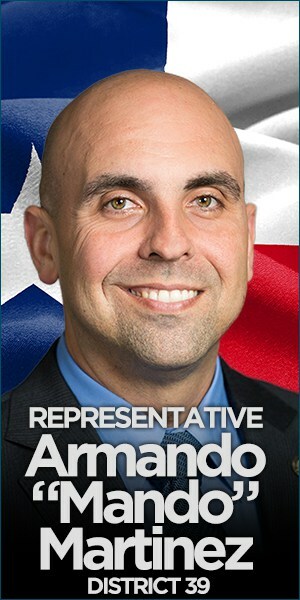 "First, I work with the state agency leaders to improve the state policies that affect South Texas, and if need be, I will take my constituents’ needs and vision, draft them into major legislation, and turn them into good laws." Mercedes school board trustee Don Vogel appreciates the one-on-one format of the town hall sessions. "I really liked that he took the time to talk to us and bring this presentation to us," said Vogel. "He is doing a good job representing us." Rogelio García, the Mercedes Municipal Court Judge, says Martínez has a proven track record of working closely with residents from all walks-of-life, and making good on his promises. "We have a man that is conscious on what needs to get done," García said of Martínez. For example, Martínez in late January announced that a $40 million Texas Department of Safety Regional Headquarters, which will be built in Weslaco, will begin construction early next year. In late June, Martínez helped welcome the latest state prize to his district with the groundbreaking of the $9.5 million, 25,000 square foot Citrus Center, a state-of-the-art Texas A&M System research facility designed to promote and protect the Valley’s $200 million citrus industry. And during the five-month regular session of the Texas Legislature which ended on June 1, Martínez authored, co-authored, and sponsored dozens of major bills that wound up approved by state lawmakers, and signed by Gov. Rick Perry to become law. "We appreciate everything that he has done for our region" said David Simmons, mayor of Donna. "He’s done a great deal for our community and our district." Martínez meets with constituents on a daily basis, not only through his legislative service, but as an advanced firefighter, an Emergency Medical Services paramedic, and a critical care flight paramedic. But for constituents who can’t make it to his town hall meetings or bump into him in person, Martínez said he and his Capitol and district offices are equipped with the latest communications networks so they can be easily reached. A call to him and his staff from even the most humble landline telephone will get the same top priority as any request delivered to him through a BlackBerry, iPhone, Palm Pre, or other revolutionary tools of communication. "He is doing a great job. He personally helped me out," said Óscar Montoya of Mercedes. "He took my call on the first ring." To best serve his diverse communities, Martínez says he provides both cutting-edge technology and old-fashioned personal contact to make people feel welcome and at ease when they reach their state legislator. "No matter what your circumstances, we want to hear from you," Martínez said. "I’m as easy to reach as a phone call, a personal visit, and just as effective, as a letter in the mail. 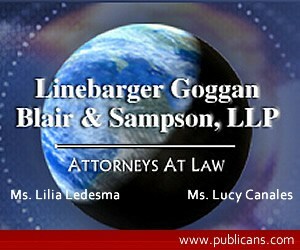 We work for you." Martínez’ district office is located at 800 West Railroad Street,, Rm H-111 Weslaco, Texas 78596 (Ph: 956/447-9473) and his Capitol office is located at P.O. Box 2910, Austin, Texas 78769 (Ph: 512/463-0530). Rep. Aaron Peña, D-Edinburg, along with other Edinburg elected and community leaders, met on Thursday, June 25, during a ceremony to rename the main administration building of the Edinburg Housing Authority in memory of former Mayor Alfonso "Al" Ramírez, who passed away on April 22. 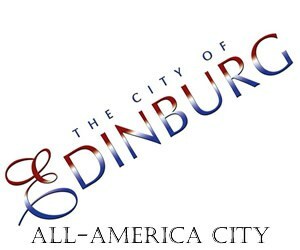 The groundbreaking mayor, who served from 1963 to 1967, was the first Mexican American mayor of Edinburg. He was credited with helping desegregate public swimming pools in the community, among other achievements. 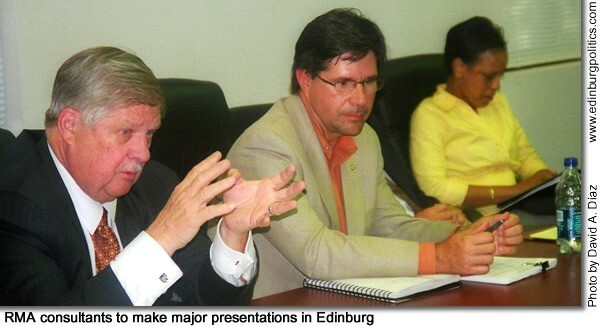 Ramírez also served on the Edinburg Housing Authority board of directors. "The community came together to dedicate this building to Mayor Ramírez, who was remembered by family and friends as a transformational and inspirational leader," Peña said. "Whether it was in his military service or civic service as Edinburg’s first Hispanic mayor or the inspiration he transferred to multitudes, Mayor Ramírez will long be remembered." In late May, Peña filed and passed a memorial resolution in the House of Representatives which featured highlights of some of Ramírez’ many achievements. RESOLVED, That an official copy of this resolution be prepared for his family and that when the Texas House of Representatives adjourns this day, it do so in memory of Al Ramírez. The Texas Legislature passed bills to extend several state agencies and authorized bonds for Texas roadways during a two-day special session which ended on Thursday, July 2. "We came back to Austin to complete some unfinished business from the regular session that ended on June 1. The bills we passed in the last two days preserved important agencies and provided billions of dollars in voter-approved bonds to fund transportation projects in Texas," said Rep. Veronica Gonzales, D-McAllen. "I am pleased that that special session was short and effective, and now it is time for us to go back to work in our districts." House Bill 1 allows for $1 billion in bond money to fund highway improvement and mobility projects across the state. An additional $1 billion will go to the State Infrastructure Bank to help local entities build highway projects. 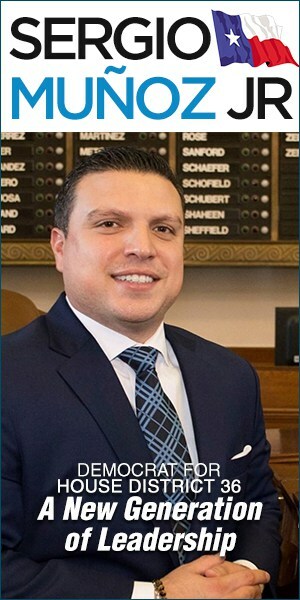 Rep. Gonzales supported an amendment to the bill preventing any of the money to be used to convert a free roadway to a toll road. Texas voters approved the bonds in 2007. Lawmakers also passed Senate Bill 2, which extends the life of several crucial state agencies, including the Texas Department of Transportation, the Texas Department of Insurance, the Office of Public Insurance Counsel, the Texas State Affordable House Corporation and the Texas Racing Commission. A third bill, House Bill 3, did not pass that would have re-authorized the use of Comprehensive Development Agreements (CDAs). CDAs are a funding mechanism for the construction of new roadways and transportation infrastructure. The measure was controversial because CDAs have been used to build toll roads and are associated with the Trans-Texas Corridor. The Rio Grande Valley exempted itself from the legislative moratorium so HB 3’s failure to pass will not interfere with ongoing projects in the Valley. After two days, the Senate adjourned on Thursday, July 2, after passing bills to preserve key state agencies and supply funding for transportation projects over the next two years. Senate and House passed HB 1, which would issue about $2 billion in transportation bonds authorized by voters in 2007. It would dedicate $1 billion of that money toward non-tolled transportation funds, and the other billion would go to the state infrastructure fund bank. Money in the bank could be used to leverage $3 billion in loans for transportation projects. Both chambers passed SB 2, the sunset safety net bill, on Wednesday, July 1. One issue placed on the governor’s call wasn’t addressed by legislators. Gov. Rick Perry asked the Legislature to consider bills extending comprehensive development agreements (CDA), which are essentially public-private partnerships intended to pay for new roads. Lt. Gov. David Dewhurst said that after talking with regional mobility authorities, senators decided the issue is not pressing. "We didn’t see the urgency for these CDA’s to be extended at the present time," said Dewhurst. Senate Transportation and Homeland Security Committee Chair and Sen. John Carona, R-Dallas, said there will be plenty of time to fully address the issue when the Legislature next meets in regular session. "No major project is going to be left behind between now and 2011," he said. The Senate stands adjourned sine die. Freedom Communications, Inc. on Tuesday, June 29, announced an across-the-board five percent reduction in base pay for employees at all levels of the company. The reduction will be effective July 13. Freedom Communications is the parent company of the McAllen Monitor, Brownsville Herald, Mid-Valley Town Crier in Weslaco, and the Valley Morning Star in Harlingen. Osborne said that continuation of a company-wide furlough program instituted during the previous quarter had been considered. But it was decided that the action announced on June 29 was the best way to reduce both uncertainty on the part of company employees and the impact on operations caused by furloughs. Freedom Communications, headquartered in Irvine, Calif., is a national privately owned information and entertainment company of print publications, broadcast television stations and interactive businesses. The company’s print portfolio includes more than 100 daily and weekly publications, including just over 30 daily newspapers, plus ancillary magazines and other specialty publications. The broadcast company’s stations – five CBS, two ABC network affiliates and one CW affiliate – reach more than three million households across the country. 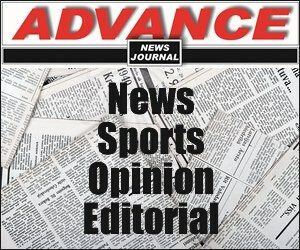 The company’s news, information and entertainment websites complement its print and broadcast properties. On Wednesday, July 1, new benefits took effect that will make student loans more affordable to repay by allowing borrowers to cap their monthly loan payments at a reasonable percentage of their income. Certain eligible low- and moderate-income students taking out new federal student loans will also see lower interest rates and higher Pell Grant scholarships. As of July 1, for the first time, borrowers are able to participate in a new Income-Based Repayment program that caps their monthly loan payments at just 15 percent of their discretionary income (defined as 15 percent of what a borrower earns above 150 percent of the poverty level for their family size). Any current or future borrower whose loan payments exceed 15 percent of their discretionary income will be eligible. After 25 years in the program, borrowers’ remaining loan balances, including interest, will be completely forgiven. 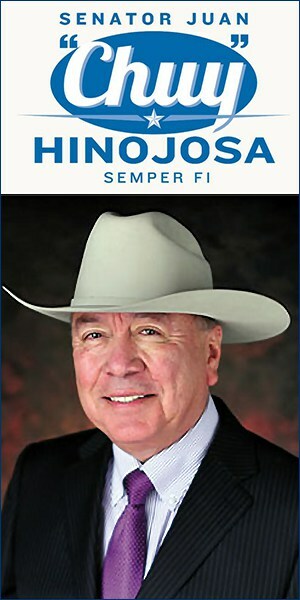 The benefits are all kicking in as part of the College Cost Reduction and Access Act, which Hinojosa helped enact in 2007 under the new Democratic Congress. The legislation invested $20 billion in college aid for families, at no additional cost to taxpayers – the single largest investment to help Americans pay for college since the GI Bill. “These savings will allow us to keep more money in our pocketbooks. And in these challenging economic times, we all know that every penny we can save is welcomed,” said Congressman Henry Cuellar, D-Laredo/McAllen. “Living in South Texas, we all know that some of these high-need areas and schools are in our own backyard. What a great way to motivate our students to proceed with a career in the teaching or public service field – one of the most nobles, yet one of the most rewarding careers." On July 1, interest rates on need-based (subsidized) federal student loans continued to drop, from 6 percent to 5.6 percent. This is the second of four annual cuts in this interest rate; it will continue to drop until it reaches 3.4 percent in 2011. Nationwide, about 5.5 million students take out subsidized student loans each year. In addition, Americans will continue to be able to enter into a new public service loan forgiveness created under the law. College graduates – or workers of any age – who enter public service professions will have their federal college loans completely forgiven after 10 consecutive years of service and loan repayments. Eligible public servants include firefighters, public defenders and prosecutors, first responders, law enforcement officers, early childhood educators and men and women serving in the military, and more. This program can be used in conjunction with Income-Based Repayment. Recent data shows that Americans’ interest in public service is surging. This year’s applications for programs like Teach for America and AmeriCorps have skyrocketed by 42 percent and 200 percent, respectively. The maximum amount of Pell Grant scholarship for the 2009-2010 school year also affected, increasing to $5,350 – more than $600 of what was allowed last year. Also, this law provides up-front tuition assistance – known as TEACH Grants – of $4,000 a year for a maximum of $16,000 to students who commit to teaching high-need areas in high-need schools for four years after graduation. College graduates who enter into pubic service careers such as teachers, public defenders and prosecutors, firefighters, nurses, non-profit workers and more, will be eligible for loan forgiveness after 10 years of qualifying public service. Higher Pell Grant scholarships for low- and moderate-income students also result from this new law. Due to funding boosts provided by both the College Cost Reduction and Access Act and the American Recovery and Reinvestment Act, the maximum Pell Grant scholarship for the 2009-2010 school year will be $5,350 – more than $600 above last year’s award. About 6 million students receive this scholarship each year. Texas government can be described as a tapestry of people, ideas and needs. To include and address all three, the Texas Constitution endows the governor with the power to appoint individuals to numerous state boards, commissions and councils. The famous writer John Gardner believed that only the citizen could bring political and governmental institutions back to life, make them responsive and accountable, and keep them honest. I think Mr. Gardner would agree that by appointing men and women from throughout the state to agencies, boards and commissions, they help keep government accountable and responsive to the rest of the citizenry. During a four-year term, a Texas governor can make close to 3,000 appointments. When the governor first selects a nominee from an impressive list of talented and dedicated Texans, approval is sought from the individual’s state senator, who may also interview the prospective person. Giving my legislative seal of approval to a potential appointee always reminds me of the talent of South Texans and their willingness to serve. This past legislative session, 26 nominees from my Senatorial District 27 were confirmed by the full Senate. Our nominees represent both their local communities that include the five counties in my Senatorial District – Cameron, Hidalgo, Kenedy, Kleberg and Willacy – and the state as a whole. While working to meet statewide goals, they also help promote and protect South Texas’ interests by contributing a regional perspective. I am proud to note that South Texans sit on the Cameron County Regional Mobility Authority, the Rio Grande Regional Water Authority and the Coastal Coordination Council. We have appointees to the Texas Department of Housing and Community Affairs Board and the Texas Board of Nursing. Still others are serving on the Veterans Land Board, the Texas Medical Board, the Texas State Board of Plumbing Examiners, the State Health Services Council and the Governing Board of the Texas School for the Blind and Visually Impaired. This is a small sampling of the numerous state appointments needed for 300 entities that are filled as nominees’ terms expire or when someone resigns for varying reasons. This past regular session, we voted in the full Senate on the appointment of State Board of Education Chairman, Dr. Don McLeroy. Out of respect for my friend and Chair of the Finance Committee, Sen. Steve Ogden, since the nominee lives in his district, I voted Present Not Voting. This is the first time in my 18 years in the Senate voting for gubernatorial appointees that I cast a PNV as a vote of no confidence for someone whose actions and leadership abilities seemed questionable. Incidentally, the Senate voted against confirming him. Since most appointments occur during the interim, the Senate Nominations Committee doesn’t meet to vet the nominees nor can the Senate vote for them until the Legislature convenes. To be considered for any appointment, a person must be 18 years or older, a U.S. citizen, a resident of Texas and a registered voter. Also, the individual must not have been adjudged mentally incompetent by a court nor been convicted of a felony (fulfillment of sentence and pardon exceptions available). Breaking ground for a new citrus center in South Texas signals the next chapter in the book of 60 years of research excellence, said Dr. Michael D. McKinney, chancellor of The Texas A&M University System. McKinney and others ceremoniously turned spades of soil on June 23 to kick off the construction of new research facilities for the Texas A&M University-Kingsville Citrus Center at Weslaco. “We break ground today for new facilities at the birthplace of the Star Ruby and Ruby Red, dark red grapefruit varieties that are grown and enjoyed all over the world,” McKinney said. He said the next 60 years would bring unimaginable marvels. Other speakers at the groundbreaking included Texas Agriculture Commissioner Todd Staples; Dr. John da Graca, center director; state Sen. Eddie Lucio, Jr.; state Rep. Armando “Mando” Martinez; Dr. Steven H. Tallant, president of Texas A&M-Kingsville; Ray Prewett, president of Texas Citrus Mutual; and Geof Edwards, of the architectural firm Kell Munoz in San Antonio. Da Graca said the ceremony marked the end of an old era and the beginning of a new one. “Since 1948, citrus research here was conducted in refurbished army barracks that were dragged to Weslaco from the deactivated Harlingen Air Base,” he said. Da Graca said the new facilities will be state-of-the-art. Construction is scheduled to begin in July and should be completed next summer. Martinez said the new facility will be an area showplace. Staples said the center would attract experts and researchers from afar. Tallant said the new facility presented endless possibilities and was part of a much larger construction effort at the main Texas A&M-Kingsville campus, some 120 miles north of Weslaco. “Imagine decoding the genetic basis of cold tolerance to resist future freezes here,” Tallant said, referring to two tree-killing freezes in the 1980s. 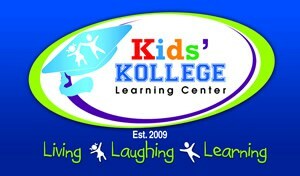 "This new center will be an example for the whole world to emulate. It’s been a great 60 years and will get even better." Lucio noted the impact of the center’s history. Prewett, who was praised by Lucio for his lobbying efforts in Austin to fund the new construction, brought applause from the crowd of about 100 when he alluded to the area’s $120 million citrus industry. Edwards, of the architectural firm contracted for the new building, said the final designs were the result of excellent collaborations with citrus center staff. U.S. Sen. John Cornyn, R-Texas, on Tuesday, June 30 announced his support for the Highway Investment Protection Act of 2009, which would keep vital highway projects alive by redirecting already appropriated federal funds to the Highway Trust Fund. Without these additional funds, the Obama Administration will slow down reimbursement payments to states, and Texans would suffer, said Cornyn. He believes that the Obama Administration must address the $20 billion highway funding shortfall immediately and this legislation would accomplish that. "Americans are gravely concerned about the unsustainable level of spending over the past six months. Now the Highway Trust Fund that makes local and state transportation projects possible, including road repair and improvements for public transit, will run out of money in August if no action is taken," said Cornyn. "Texans already get short-changed when it comes to getting their fair share of transportation dollars from Washington, so the last thing they need is more delays to much needed transportation and highway projects." He added that "a vibrant transportation system is essential for our economy to grow and for Texas businesses to create jobs here at home. That is why I’m supporting legislation that would immediately address the highway funding gap by redirecting money that has already been appropriated by Congress through the American Recovery and Reinvestment Act earlier this year. It is critical that we stabilize funding for the nation’s highway and transit programs that millions of Texans use every day, and I call upon the Obama Administration to immediately address the highway funding shortfall." A week earlier, Secretary of Transportation Ray LaHood told Congress that the Highway Trust Fund is weeks away from becoming insolvent. 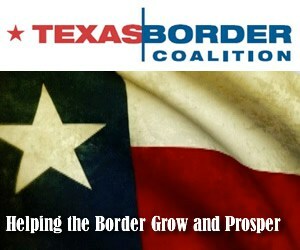 The Department of Transportation estimates an additional $5 to $7 billion will be needed through the end of September. An estimated $20 billion is needed to carry the program to March 2011. Cornyn serves on the Finance, Judiciary and Budget Committees. He serves as the top Republican on the Judiciary Committee’s Immigration, Refugees and Border Security subcommittee. He served previously as Texas Attorney General, Texas Supreme Court Justice, and Bexar County District Judge.